Educators and students are quickly becoming more comfortable with classroom technology, allowing them to shift from thinking about the technical side of integrating a new tool to focusing on how it improves learning. While the sheer number of education apps is still overwhelming, increasingly teachers have found what works for them and are sticking to them. “The conversations I had were radically different than they were a year ago,” said Michelle Luhtala, the librarian for New Canaan High School and host of an Emerging Tech webinar on edWeb. She tapped her professional learning network of educators, teaching all grades and located all over the country, to share their favorite tech tools. Educators have become proficient with their favorite classroom apps and are getting more creative with using them to achieve teaching goals. “You are giving them an opportunity to improve their own expectations because they aren’t just dealing with the technology," Luhtala said. "They are thinking about how to best integrate the innovation with content." Luhtala has also noticed some app fatigue among her colleagues. If they are using something that works well, they’ll probably stick with it, even if another slightly better product comes along. Learning is hard and change is even harder, so once teachers have found a tool that meets their learning goals, they are unlikely to shift without a good reason. “It’s hard to get the teachers on board with this at all, so to say we’re going to do it differently next year is a tough sell,” Luhtala said. The repeat apps that have made it to this favorite list added functionality without doing so too quickly. They also tend to target younger students -- high school students mostly use their phones for personal computing and their laptops for school. The emphasis in the higher grades is still on reading and typing -- teachers give students fewer opportunities to express their learning in creative ways, so the tools of choice tend to be basic. High school kids use Google Apps because they can easily collaborate. Skype: Educators love simple tools that they can use in multiple ways. Skype is a great way to virtually bring experts into the classroom and to help students make real-world connections to what they’re learning. “If we are talking about acquiring knowledge, Skype is brilliant,” Luhtala said. 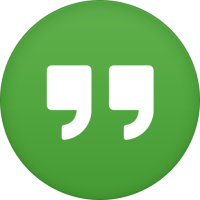 Google Hangouts: Similarly, Google Hangouts is a great tool for connecting with other educators, students and classes. It’s easy to integrate with other Google products like Google Calendar and easy to send notifications inviting people to the conversation. “It is a highly utilitarian tool because of all the functionalities,” Luhtala said. Junaio: This augmented reality app is a great way to connect digital media content to a physical object. Unlike similar products, it will scan both QR codes and bar codes. It can be used in connection to maps, to find local events and in any number of other creative ways. “It’s really a cool way to discover your world,” Luhtala said. It works only on iPhones, but is free. Layar: Another augmented reality tool, several elementary school teachers found it worked better for little kids than Aurasma, which requires individual accounts that can get complicated with young learners. Luhtala has used augmented reality to attach student-created video book reviews to titles in the library. Compatible with iPhones and iPads, this app is free. iLearn United States: This game-like app has a learn mode and a game mode. Students acquire facts about a state like its state flower and flag and then use that information in a game, scoring points against a clock. It works on iPhone and iPad and the lite version is free. Stack the States: This app allows kids to play with virtual flashcards in a fun easy way. Once they know the information, they put them in their “stack.” It works on iPhones and iPads and the lite version is free. Kahoot: This app allows teachers to create quizzes that are more fun and interactive than what can be done simply in Google Forms. 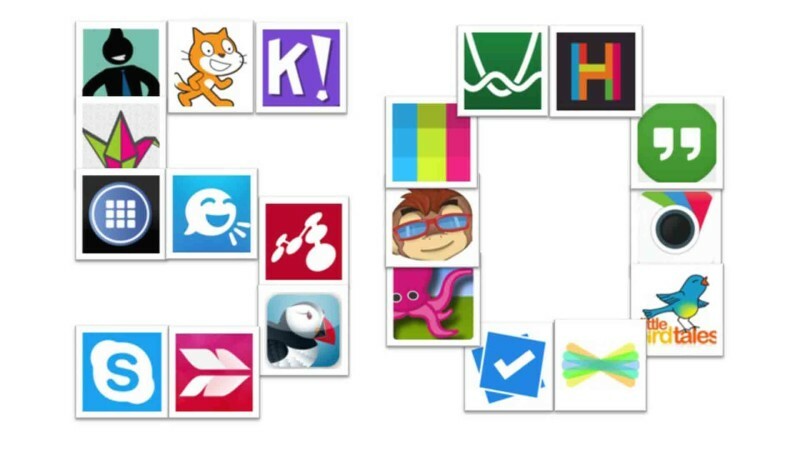 “Kahoot is an opportunity for teachers to create much more engaging materials,” Luhtala said. It also allows teachers to customize quizzes for students’ needs, changing details down to a very granular level. It is Web-based and free. Plickers: One easy way many educators are using technology in the classroom is to have students respond to short questions during a lesson to test for understanding. That works fine when all kids have a smartphone or device, but Plickers is a solution for more low-tech classrooms. Teachers issue cards with choices on them (A,B,C,D). The teacher poses the question and students hold up the card corresponding to the answer they want to give. The teacher then uses her phone or iPad to scan across the room. Plickers registers the results and feeds it all into a database. It can be used on iPhone and Android devices as well as on the Web and is free. ABCya: This app offers an interactive game-based learning environment for language. It is designed for grades K-5 and features beautiful design and crisp graphics. It’s also Web-based and uses Flash, but students can log in at home as well. This tool is Web-based and free. 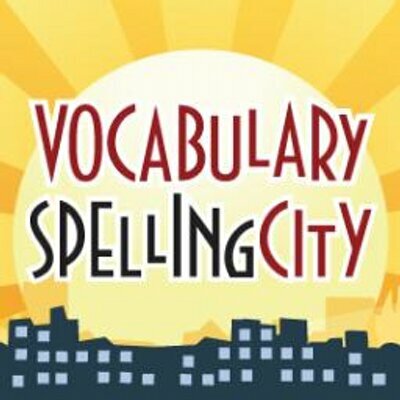 Spelling City: The app offers 25 online spelling games. “It’s totally customizable so [the teacher] can have control over how to tie the word into a sentence,” Luhtala said. Teachers love this because they can connect the vocabulary to other classroom content and share what’s going on in class with parents. It is Web-based, as well as available on iPad and iPhone. The basic version is free. Epic! : This is essentially a huge e-book library. “They have amazing stuff,” Luhtala said. The collection includes everything from picture books to graphic novels and even junior novels. One teacher described Epic as “Netflix for kids books” because it offers thousands of titles. The books are for ages 4 and up and are fairly interactive. It is free and works on iPads and iPhones. Biblionasium: Part learning management system, part conversation starter, Biblionasium is like GoodReads for elementary and middle school students. Teachers can create classrooms within the site, monitor students’ reading and see conversations around a book. This is a great way for younger kids to practice interacting in an online forum that is designated for them and their books. The site is Web-based and FREE. Symbaloo: Many teachers love this organizational tool. It allows a librarian or teacher to create accounts featuring a group of apps appropriate for each group of students. Kids can get comfortable with the apps and sites the teacher expects them to use without distractions. “This has been highly effective in the elementary library,” Luhtala said. This app is available on the Web, Android phones and iPhones. It’s free for individual use, $34.99/year for a librarian or teacher account. Pearltrees: Luhtala loves this app as an organizational, bookmarking and social tool all at once. It’s a bit like a Livebinder and allows users to share lists of resources easily. Luhtala’s one complaint is that she can’t duplicate a Pearltree and modify it without modifying the original. It’s available for iPhone, iPad and Web with flash and is free. SeeSaw: This is an easy portfolio tool that allows teachers, students and parents to see and access video, audio, photo and text artifacts of learning. It’s easy to set up and even kids at the lowest level can use it. “You can watch the growth of the student and collect that formative assessment evidence through their progression,” Luhtala said. It's compatible with iOS devices and is free. Evernote and Notability: Both these apps are often mentioned. Evernote is free and cross-platform, but tends to compartmentalize. Notability has a charge associated with it ($1.99 per download) and is only for iPads. However, that allows it to integrate elements of Apple apps into the experience. Luhtala’s sophomore students experimented with both apps and liked Notability better for school work. Luhtala believes the apps could have separate purposes, and users don’t have to choose one or the other. Padlet: “I’ve shared this multiple times and will continue to share,” Luhtala said. The simple app is a great way to crowdsource info, essentially collecting notes from lots of people in one place. Padlet is Web-based and free. Post-it Plus: This app is offering a solution to that moment at the end of a workshop when the whiteboard is covered in individual Post-it notes that need to be captured. Take a snapshot of the board with the app, and it recognizes each individual small Post-it as a separate message. The user can then reorganize and share. This app is iOS compatible and free. Mindomo: This graphic organizing tool allows students to collaboratively create “mind-maps” of ideas. Luhtala used this tool with sophomores. “They were able to web out all their thinking and connect links to the major ideas around this one book,” she said. The free version allows a user to make three maps. After that a teacher license is $69/year. It is Web-based. Desmos: This company has essentially replicated the functionalities of graphing calculators online, so all kids can have access. “Every kid should have access to amazing tools that makes math fun,” Luhtala said. Graphing calculators are often one of the most expensive things on a back-to-school list, making this software very useful. It is Web-based, works on iPads and is free. Word Clouds: Teachers use this app instead of Wordle if they use iPads. ClassDojo: This tool is a fun and easy way to keep track of student behavior, allowing teachers to take attendance quickly and give positive or negative reinforcement, depending on a child’s actions that day. Each student gets a critter and some teachers find it very effective. It works on iPhones and iPads, as well as Android phones and the Web. It is free. PhotoMind: Luhtala loves this tool because she relies on pictures to document her life. It lets her set a reminder on a photo. “This is a great way to remind myself of things I need to do,” she said. It costs $2.99 and works on iPhones and iPads. “Kids have ingested information, they’ve found ways to manipulate the information, and now they are ready to create something,” Luhtala said. Skitch: This app allows students to take a picture, write on it, decorate it, direct it to someone else, even use emojii on it. It's another way to mix media to show understanding or add knowledge. Available for Android and iOS products for free. Photo Editor by Aviary: This is a powerful photo editing tool with many rich options to tweak and share images. It works on both Android and iOS devices and is free. Piktochart: An easy app to creates beautiful infographics. It's free for the most simple templates and $39.99/month for over 100 themes. It is Web-based. Adobe Slate: While similar to its competitor Microsoft Sway, some educators reported this presentation tool to be more engaging. “When I did this webinar a year ago, I didn’t feel there was a presentation tool that worked for me,” Luhtala said. “Now there are." Adobe Slate works on iPads and is free. Microsoft Sway is free and Web-based. Adobe Voice: This iPad (only) app allows users to attach a voice recording over images. It is free. Tellagami: This app has long been a favorite of many educators. It’s a quick and easy way to create and share animated messages. “Kids really like them in the lower school,” Luhtala said. It works on iPads, iPhones and Android devices, and is free. 30Hands: This storytelling app has been particularly successful with elementary kids who are still struggling to write all that they know. Instead, a student or teacher can narrate presentations or images, sharing their learning that way. This is for iOS devices and has a free version. Little Bird Tales: Multiple educators wrote to Luhtala highlighting this favorite app. It’s another simple-to-use, voice-capture tool for storytelling. It's free, works on iOS devices and has a Web-based version. Powtoon: This Web-based tool allows students to create animated presentations. Luhtala acknowledges that it has a steeper learning curve than some tools, but the payoff is pretty cool. There is a free version and an expanded educator version for $6.25/month. Glogster: This poster-making tool has been around for a long time, but recently got a huge overhaul. Now students can embed audio, video and music. Unfortunately, it is no longer free. Teacher light licenses start at $29.99/yr for 50 accounts. It works on the Web, iPads, iPhones, and Google Chrome. Prezi: This is a good, free presentation tool for high school students. While some people complain it makes them dizzy, many still use it. Scratch: Lots of elementary school teachers use Scratch to teach rudimentary coding. This tool built at MIT Media Lab allows students to make neat programs, enhancing their coding knowledge as they go. It is Web-based and free. Made with Code: This free Google product is meant to entice girls into making code. Cato’s Hike: This is a game that teaches programming by expecting kids to figure out the rules to a new world as they make their way through it. As students play, they must use code to create a path around obstacles Cato faces on his adventure. Lite version is free. Hopscotch: Another coding tool that many elementary school teachers use to expose students to the beginning of computational thinking and code. The tool allow students to build animations and games using a visual programming language. It works on iOS devices and is free. Pixel Press Floors: One teacher described this game as a bit like Mario Brothers. Students can draw a blueprint for a video game and the app turns it into code. The game changes, depending on how they lay out their titles, and kids can share their tiles, essentially crowdsourcing ideas and collaboratively building. Then games can be published to the Arcade. This app is iOS compatible and is free (for now). Green Screen: This app has been around for several years, but educators are still using it often. “Everyone who has iPads is using this,” Luhtala said. It’s only for iPads and it costs $2.99. Sock Puppet: A video creator with sock puppet characters, students can lip sync their own videos. Only for iPhone and iPad and free. Knowmia: Many teachers use this tool for flipping their lessons. The software offers lots of tools to design short video lessons. They can assign the video to their class and track who has watched it. Additionally, other people have access to the lesson. “It’s a way to have a larger audience and create tools you need,” Luhtala said. This is a Web-based tool and is free. TechSmith Fuse for Camtasia Relay: This app is for the high-level video editor. It allows users to upload video and audio from an iPhone or iPad videos to a personal server, where they can edit and publish. It's free, but only works on iPads and iPhones. ABCya Animate: This versatile platform is so easy to use that kindergartners can make animations on it. It's Web-based and compatible with iPads, but costs $1.99. Do Ink Animate and Draw: A similar app for animating, this is better for older kids. It's only for iPad and costs $4.99. Chatter Pix Kids: Students can take photos or other images and easily create a voice over. It's free and iOS compatible. Lego Movie Maker: Students can create their own version of a Lego movie by building a scene and then capturing it with an iPad or iPhone. It's then easy to add and delete frames, adde a soundtrack, and even change the color filter. “This is just one more tool your kids will get jazzed about because who doesn’t love Legos?” Luhtala asked. It's free and iOS compatible.